With the 2018 Canadian Hockey League Import Draft scheduled to take place Thursday, June 28, history is about to be made for several Western Hockey League clubs. 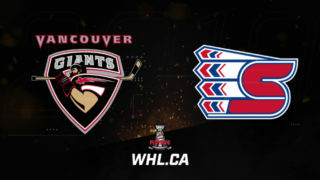 Since its inception in 1992, the draft has served as a tool for WHL teams to provide their clubs with an extra offensive or defensive boost, while also introducing players from outside the continent to how the game is played in North America, aiding in the development of professional hockey careers. Thursday’s draft will also play a significant role in the short term as teams set their sights on being a contender in pursuit of winning the Ed Chynoweth Cup at the conclusion of the 2018-19 WHL Regular Season. 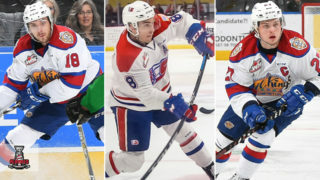 This year, the highest selection belongs to the Edmonton Oil Kings, who will pick second overall, with the Prince George Cougars picking fifth. When the Oil Kings announce their second overall selection tomorrow, they’ll be doing so in the hopes of including future championship pieces to their organization like they’ve done in year’s past. Back in 2010, the Oil Kings selected Latvian forward Kristians Pelss 19th overall, choosing defenceman Martin Gernat 18th overall a year later. 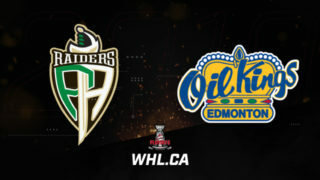 The two would go on to help bring the Ed Chynoweth Cup back to Alberta’s capital in 2012, the first time since 1972. As both Pelss and Gernat moved on from the organization, with the tragic passing of Pelss shortly after, the focus remained fixed on winning another championship, which they did again in 2014. 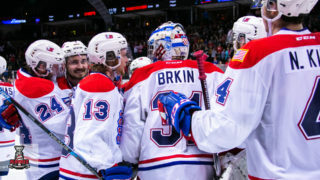 This time around, it was forwards Mads Eller and Edgars Kulda making up the foreign-born contingent for the Oil Kings. The latter of the two elevated his game during the 2014 WHL Playoffs, tallying 22 points (10G-12A) in 22 games. Edmonton would go on to capture the Mastercard Memorial Cup with Kulda adding seven points (4G-3A) in five games at the tournament. This year will also see goaltenders eligible for selection, a measure that could significantly improve the fortunes of certain teams. 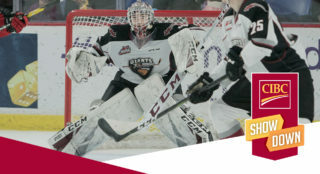 The WHL played host to the last import goaltender in the CHL with Medicine Hat Tigers goaltender Marek Langhamer, a product of the Czech Republic. With a 68-42-4-3 record, 2.86 goals-against-average and .905 save percentage in 120 games with the Tigers, Langhamer was selected 47th overall by the Tigers just days after being selected by the Arizona Coyotes in the 2012 NHL Draft. Most recently, we saw further proof the CHL Import Draft can have on a team in their pursuit of the Ed Chynoweth Cup. The duo of forward Aleksi Heponiemi and defenceman Atryom Minulin were both critical in the run of the Swift Current Broncos this season. Heponiemi’s 118 points (28G-90A) helped lead the Broncos to a strong regular season performance while his 30 points (5G-25A) in the 2018 WHL Playoffs helped cement their historic title run. Looking back a year further, one needs to only look at the game-winning goal scored by Denmark-born forward Alexander True of the Seattle Thunderbirds. His 12th and most important goal of the 2017 WHL Playoffs sealed an impressive run by the U.S. Division squad to help them capture their first championship banner in WHL history. The draft itself has served as a stepping stone to the NHL for players. The first-ever selection at the CHL Import Draft belonged to the Red Deer Rebels, who selected forward Vaclav Slansky first overall in 1982. 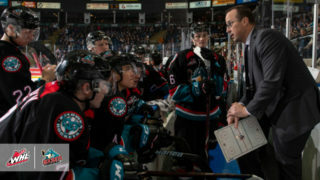 Though Slansky didn’t play in the NHL after spending two seasons with the Rebels, he’s since found success as an Amateur Scout with the New Jersey Devils. The Portland Winterhawks are another notable team to have found success in the past and present with the CHL Import Draft and will be looking ahead to the future tomorrow. The Winterhawks picked second overall at the 2009 CHL Import Draft, snagging the rights to the Swiss-born Nino Niederreiter. Now playing for the Minnesota Wild, Niederreiter played 120 games for the Winterhawks, recording 130 points (77G-53A) and being named a WHL Second Team All-Star in the 2009-10 season. Oliver Bjorkstrand has provided one of the biggest success stories for the team. In three incredible seasons with the Winterhawks, Bjorkstrand tallied 290 points (144G-146A) in 193 games, adding another 77 (37G-40A) in 59 WHL Playoff games. A two-time WHL First Team All-Star, Bjorkstrand was instrumental in his team’s WHL Championship in 2013 that featured several future NHL players. When it comes to the Philadelphia Flyers, they’ve taken a liking to WHL talent of all backgrounds making plays for players like Nolan Patrick and Carter Hart, but they have the league and CHL Import Draft to thank for the strength on their blue line. Both Ivan Provorov and Radko Gudas took paths from Europe to the NHL through time played in Western Canada and the Pacific Northwest. Gudas was selected 20th overall in the 2009 edition of the CHL Import Draft by the Everett Silvertips while Provorov went at 30th overall to the Brandon Wheat Kings in 2014. While Gudas needed just one year before making the jump to the professional ranks, Provorov would spend two seasons with the Wheaties, winning a WHL Championship in 2016. That wasn’t the end of the line for Provorov’s honours in the WHL as he was named as the recipient of the Bill Hunter Trophy as the WHL’s Top Defenceman in 2016 and the CHL Defenceman of the Year shortly after. Recent years have also yielded success for the WHL when it comes to import players developing their talents to get to the NHL. Import defencemen including Juuso Valimaki, Henri Jokiharju, and Alexander Alexeyev have all heard their name called in the first round of the NHL Draft after spending time in the WHL. When the selections come and go, a new crop of players will be welcomed to their respective WHL clubs. What lies ahead is unlimitless possibilities for them to take the next step forward in the positive direction with their hockey careers. The 2018 CHL Import Draft is scheduled to take place Thursday, June 28 (9:00 a.m. MT). The 2018 #CHLImportDraft is set for Thursday, June 28! The draft begins bright and early at 9 a.m. MT.